Let’s talk about docker images. A docker image is made up of one or more layers and some metadata. When you do a docker pull these are retrieved from dockerhub or your repository of choice. That is simple enough. However understanding how docker images work under the covers, where the various digests and hashes you see returned by the docker client come from, is a little more challenging. Let’s walk through the structure of an example image and see what lessons we learn. First, let’s pull a fun docker image. 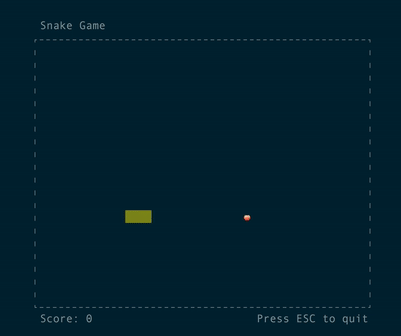 How about a terminal game like snake? After a docker run we will get a fun little snake game. We can see that docker image was made up of 10 layers. Each layer was pulled down by the docker client. Then a digest was emitted, the docker pull was complete and then the game started. Where do the digest and the hashes returned by each layer come from? Let’s use a handy tool called skopeo to pull the raw docker image into a folder and take a look at it. We get one file for each layer in our image, a manifest file, and one extra file, which we will get to later. We can see that the first twelve characters of each file correspond to the hash returned by docker pull for that layer. Docker layers are stored using a Content Addressable Storage scheme. That means that the hash of the contents of the layer is how that layer is referred to and stored in the file system. The manifest file lists each of layer digests for its ten layers, as well as the size and the format of the file. The ordering here is important as docker images use a union file system. Each immutable layer is an overlay on top of the previous layers. In this case, since this image is based on golang:alpine, the first five layers are shared with many other images that build on golang:alpine. The config is the extra file I mentioned we would get back to. The config is a json document and contains metadata about image creation. This structure is known as a merkle tree. An image can be referred to by the hash of its manifest and the manifest contains a list of the child dependencies of the image. Its dependencies are its layers and the config. Any change to any layer will cause its digest to change, which will cause the manifest to change, which will cause the entire image to have a different digest. A docker image is an immutable merkle tree of its layers and config. The digest is the sha256 of the manifest and can be used to definitively refer to an image. This is also how git works internally. Each commit can be referred to by its hash. In git, branches are just pointers to hashes of commits. This is way docker image tags work as well. If you are familiar with how git commits form a tree, this intuition can guide you to understanding the docker image format. They are very similar. By looking at bit deeper at the docker image format we now have a better and more hands-on understanding of how the format works.